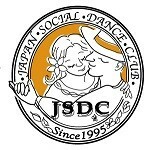 Getting Started - Japan Social Dance Club (JSDC) is a professional dance studio specializing in American Style Social Dance. Whether you have previous dance experience, or you are just getting your feet wet, JSDC's experienced staff will guide you into the magical world of Ballroom dancing! or come in for Group Orientation Class. Getting started is as easy as walking through the door! It’s very easy to get started with JSDC lessons because of these reasons! Do you need further informaition?